Now the kids can look just like the men in these Ricky III Jr.'s. Instead of renting bowling alley shoes every time you go bowling, get these bowling shoes for your tot today! 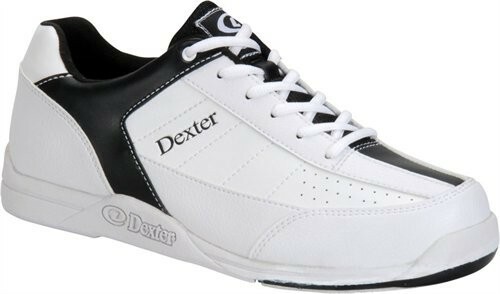 Your child will love the look and feel of these comfortable Dexter Jr. shoes! is the slide pad on both? Great question Dina! Yes, the S8 microfiber slide soles are on both shoes. Hi Knazzal, these shoes are not wide width, they are standard youth sizes. If I add true fit, can I exchange for a different model? I usually fit women's size 5, however there are not many options available. Hi SS, the True-Fit plan actually only works for exchanging the same shoe model for a different size. Exchanging for any other shoe model would have to be done as a regular exchange. Due to the time it takes to produce the Dexter Ricky III Jr. White/Black ball it will ship in 2 bus. days. We cannot ship this ball outside the United States.